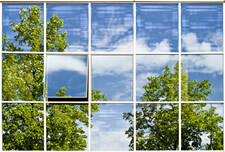 Green and Clean - Eco friendly cleaning service for your home or office! Green and Clean prides itself on providing an excellent, professional service at competitive and affordable prices, using only the most eco-friendly products available. Eco-friendly cleaning products are beneficial not only to the environment but to your health and well being. The end result is a healthier atmosphere and increased satisfaction for living and working. If you live and work in DC, MD. or Virginia, Green and Clean is in your neighborhood. We are a proud, locally owned and operated business, Licensed, Bonded and Insured. "We are more than pleased with the service Green and Clean provides. Quick, friendly and dependable- they expertly clean over 20,000 square feet of the common areas of our Condos daily..." Victoria, Community Manager (Maryland). "A - W - E - S - O - M - E JOB YESTERDAY!!!"